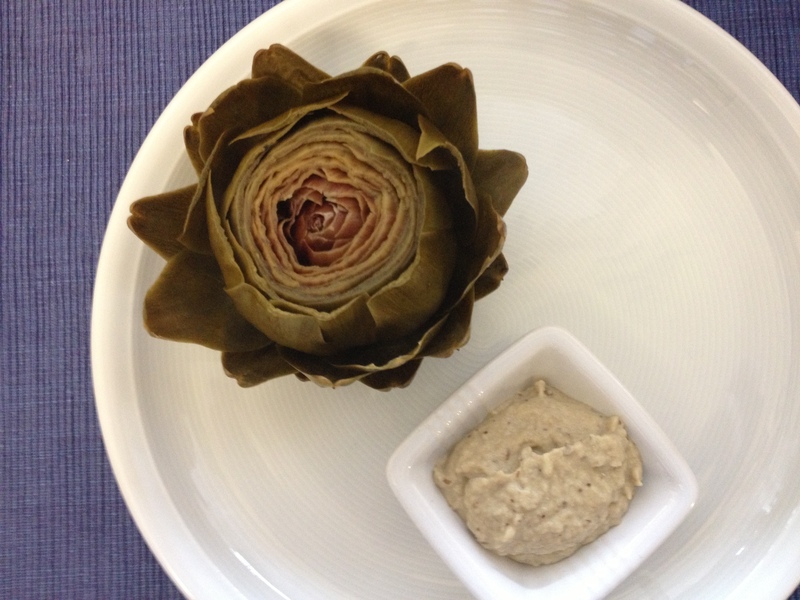 Greek-inspired turkey roulades What is paleo? Every now and then, however, I am able to smuggle some vegetables into him. One of the dishes he will eat is baba ghanoush—a Middle Eastern eggplant dip. If you haven’t had it yet—or if you think you don’t like eggplant—try it. It may make a believer (or an eggplant-eater) out of you too. The first couple of times I made this dish, my son didn’t love the garlic in it, until I hit on the idea of roasting the garlic (along with the eggplants), which makes the garlic very buttery and mild. I roast both in the oven for about 30 minutes. The traditional way is to make this over an open flame (BBQ) to get a smokier flavor—so that’s certainly a valid alternative preparation. 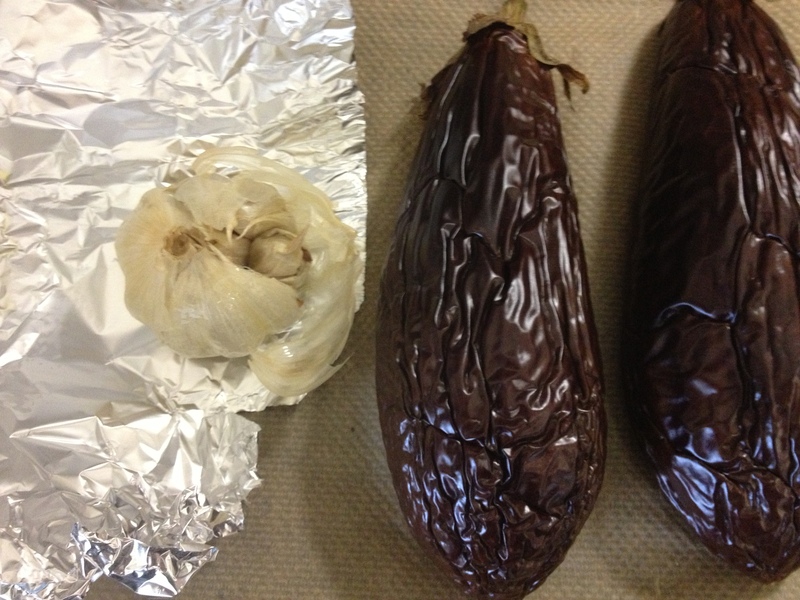 Roasting the garlic with the eggplants gives it a rich, mild, buttery flavor. I think either way you make it, I think you’re going to love it. Traditionally this may be served with pita bread, but here are two alternative serving ideas you’re going paleo. or serve it with raw vegetables. 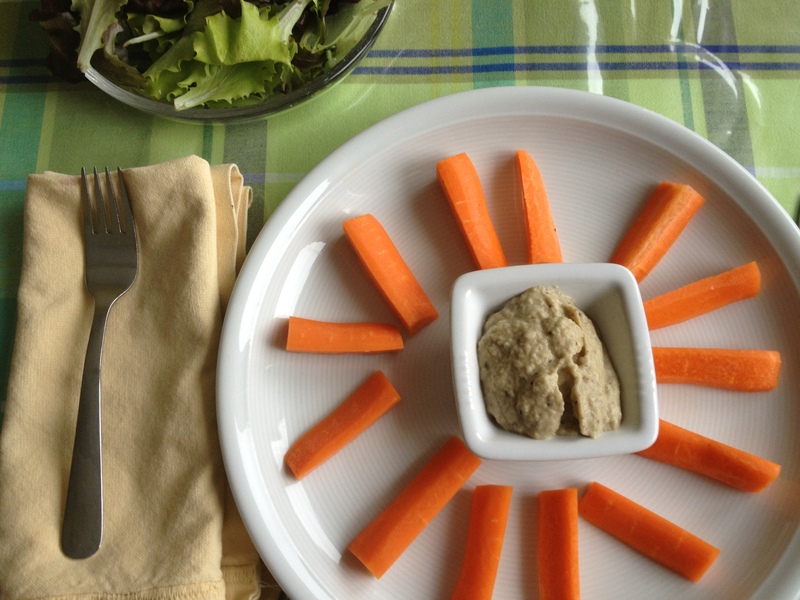 Serve baba ghanoush with raw veggies and a side salad. Of course, you can always just eat it straight out of the bowl with a spoon—which is sometimes what I do. A mild, kid-friendly version of the traditional Middle Eastern eggplant dip. Olive oil, sesame seeds, pomegranate seeds, fresh parsley, fresh mint, or fresh cilantro. Preheat oven to 200°C (400°F) or preheat your grill to medium high. Using a fork poke several holes in each eggplant. Place eggplants on a parchment-lined baking tray. Peel away the outer layers of the garlic bulb skin, leaving the skins of the individual cloves intact. If you want to be fancy, you can, cut off the tip of cloves, exposing the individual cloves of garlic. Place garlic on aluminum foil and drizzle olive oil over garlic and pinch aluminum foil closed into a ball. Broil or grill eggplant and garlic for approximately 30 minutes, turning once, until eggplants are soft but charred on the outside. Once eggplants are cool enough to handle, cut them in half, and scrape out flesh into your food processor or a bowl. Add remaining ingredients and salt and process till smooth. You can also use a fork for a chunkier texture. Note: I use the entire head of garlic, but if you suspect it might be too much, add a bit at a time and taste as you go. 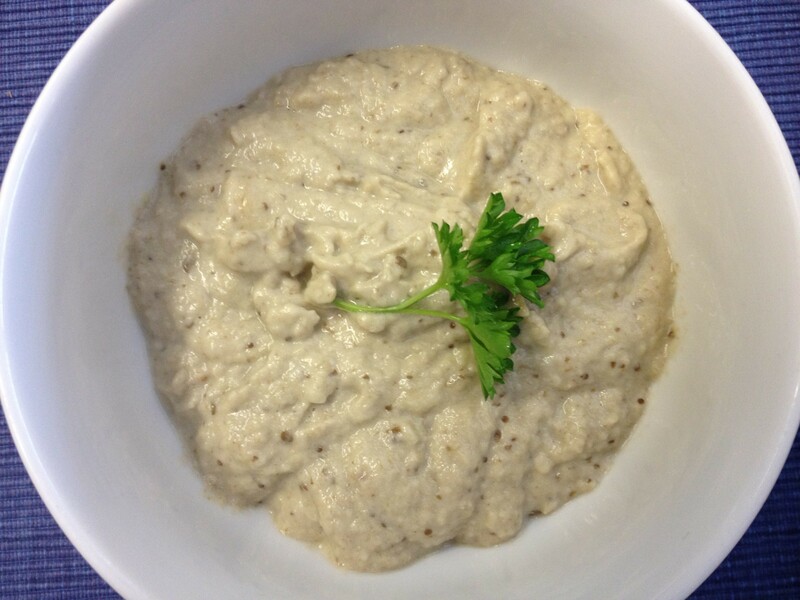 Place baba ghanoush in a bowl and top with optional ingredients if desired. Total time does do not include cooling time. Good stuff! So, there is hope for your eight-year-old yet!